After Lalu Prasad Yadav’s elder son Tej Pratap Singh Yadav tied the knot with Aishwarya Rai in a grand wedding ceremony, their first picture has surfaced on the Internet. See the picture here. Lalu Prasad Yadav’s elder son Tej Pratap Singh Yadav tied the knot with Aishwarya Rai, daughter of former transport minister Chandrika Rai, in Patna on May 12. 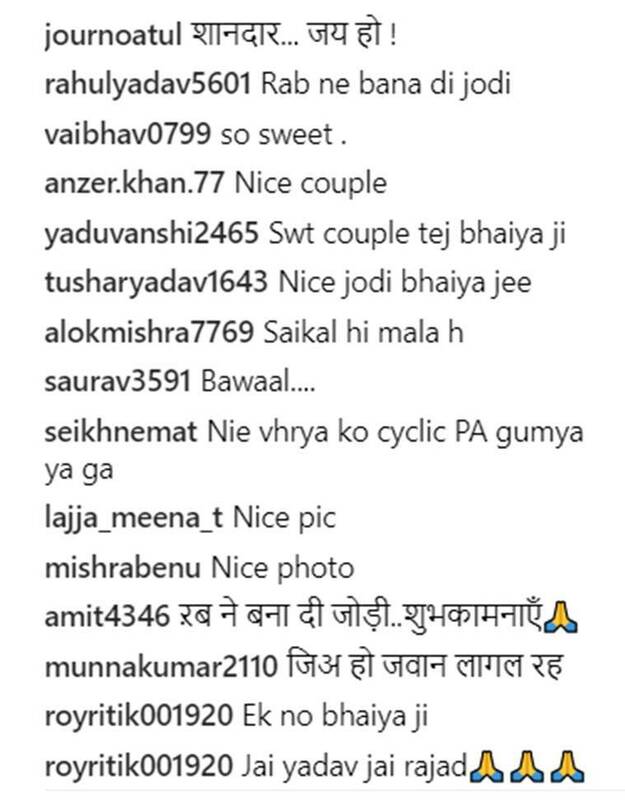 Days after the grand reception in the state capital, Tej Pratap posted a picture with his wife on Instagram. In the picture, the two can be seen smiling at each other standing beside each other on a bicycle. While Aishwarya donned a bright orange sari, Yadav was clad in a white kurta pyjama. 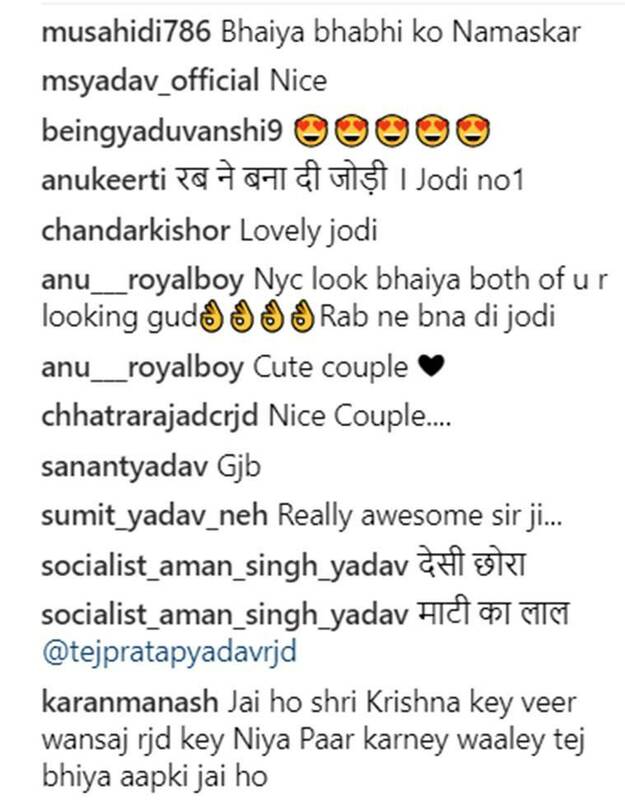 Check out the picture posted on Yadav’s Instagram account here. No sooner did it surface on Instagram, people couldn’t help but shower love on the picture. While one user wrote, “Oh nice… Desi couple,” another one said, “Rab ne bana di jodi,” and one viewer commented: “Motivating the youth, to save the resources & fuel for future…” Many others also said that the picture had a certain essence and vibe from Bihar in it. Here are a few more reactions. What are your thoughts on the candid shot? Tell us in the comments below.